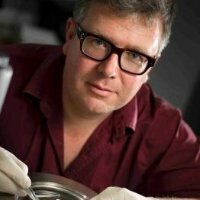 Dr David Hoxley is a researcher in condensed matter physics, particularly diamond and its applications in implantable biosensing. He’s also a passionate educator, particularly exploring ways of engaging the inner child scientist in us all. David is based at the La Trobe Institute for Molecular Science and the department of Chemistry and Physics at La Trobe University.